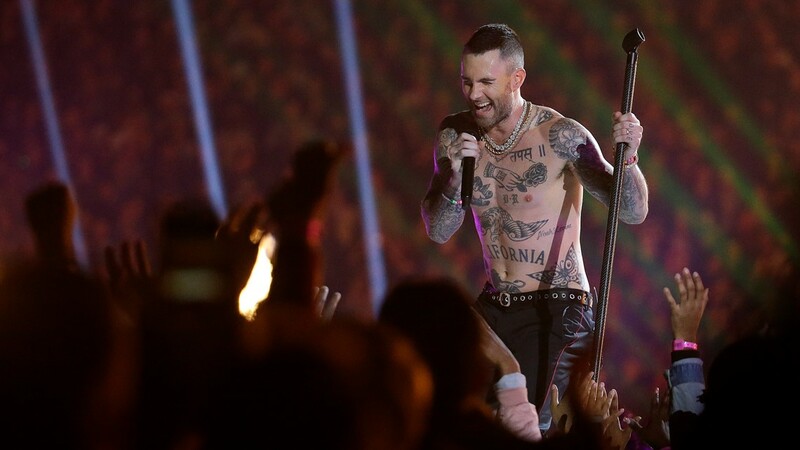 Adam Levine grabbed everyone's attention at Sunday night's Super Bowl LIII halftime show when he performed shirtless, but not all of his fans reactions have been positive. His band, Maroon 5, is best known for their 2002 album "Songs About Jane." They continue to have success with the charts with hits like "Girls Like You" featuring Cardi B and "What Lovers Do" featuring SZA. The band was joined in their halftime performance by rapper Travis Scott and Outkast member Big Boi. But it was the finale that had fans talking. 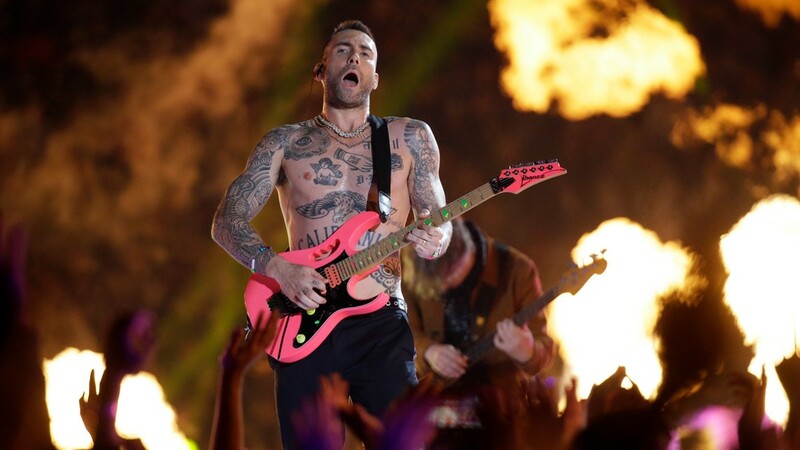 During his performance of "Moves like Jagger," Levine, who had already taken off his two jackets, removed his tank top and performed shirtless. Swooning viewers quickly took to Twitter. Others, however, were not as amused. Some fans pointed out the double standard in reactions to Levine's shirtlessness to Janet Jackson's costume malfunction during the 2004 Super Bowl halftime show with Justin Timberlake. During the show, Timberlake went to remove her corset and accidentally exposed Jackson's bare breast. Timberlake and Jackson issued apologies, and CBS was charged $550,000 for an indecency fine for the incident. The incident has often been referred to as "nipplegate," and while Timberlake performed at the 2019 Super Bowl, Jackson has not been invited back since. 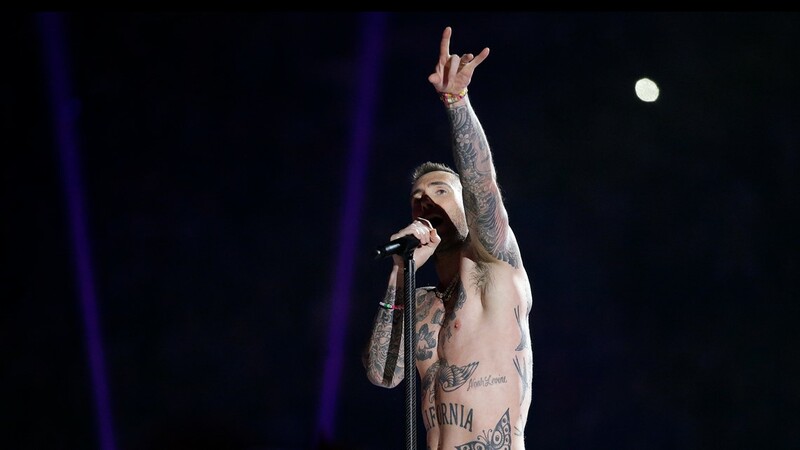 The band's performance brought controversy even before the Super Bowl. Fans started a petition asking Maroon 5 not to perform in solidarity with Colin Kaepernick. The band instead chose to make a $500,000 donation to Big Brothers and Big Sisters of America. Travis Scott did the same.